Mitchelton-Scott's Adam Yates has taken the victory of the last stage of Itzulia-Vuelta al Pais Vasco. Ion Izagirre took the overall win of the race. The last stage of the Spanish race was 118.2 kilometres long with start and finish in Eibar over a course that features three climbs of the third category, one of the second and two of the first category. The escape of the day included names like Bauke Mollema (Trek-Segafredo), Carlos Verona (Movistar), Jesus Herrada (Cofidis) and Alessandro De Marchi (CCC Team). The escape group managed to create a gap of more than one minute with a peloton that was pulled by teams like Astana and Mitchelton-Scott. At around 65 kilometres to go, the peloton caught the escapees and the high pace managed to leave behind all the riders from Bora-hansgrohe, except the race leader Emanuel Buchmann. 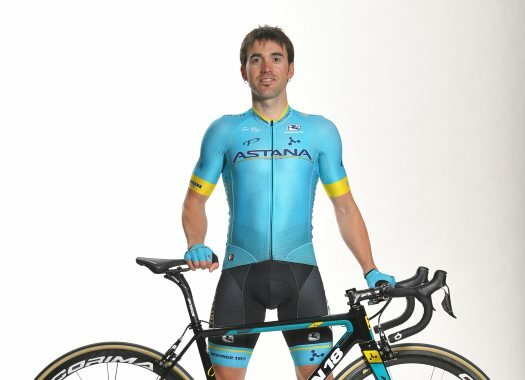 At the ascend of the Azurki, Astana's Jakob Fuglsang decided to change the pace and Ion Izagirre followed him. Very soon, the duo was joined by Adam Yates, Tadej Pogacar and Dan Martin, while Buchmann was left struggling behind. The German rider of Bora-hansgrohe waited for the rest of the chasers before the next climb but the front group had already built a considerable gap. With three kilometres to go, Yates attacked and could maintain a gap with the others, crossing the finish line one second ahead of his companions. The fourth position of Izagirre gave him the overall victory of the race, Martin took the second podium position. The group of Buchmann took a wrong turn, which made him lose even more time, but a complaint filed by the team after the finish made the race give 15 seconds back, which was enough for him to take the third place of the final podium.